Asus has issued a press release to reveal the new Mini PC ProArt PA90 compact workstation computer. The Taiwanese manufacturer has managed to pack some impressive hardware into the device, including up to an i9-9900K processor, 64 GB RAM, and up to an Nvidia Quadro P4000 GPU option. The Mini PC is aimed at professionals who deal with CAD elements in their workflow. A press release from Asus has unveiled a new series of PCs for those involved in high-level content creation, such as architects and engineers. The most-powerful variant comes with a 9th generation Intel CPU, up to four SO-DIMM DDR4 modules for a maximum of 64 GB memory, and graphics powered by a specialist Quadro P4000 graphics card from Nvidia. Asus claims that the new generation of Intel processors offers 30% better performance over the last generation. The Asus Mini PC ProArt PA90, which at a glance looks somewhat like a large smart speaker, also comes in an i7-9700K variant and there is the option to choose the lower-specced Nvidia Quadro P2000. 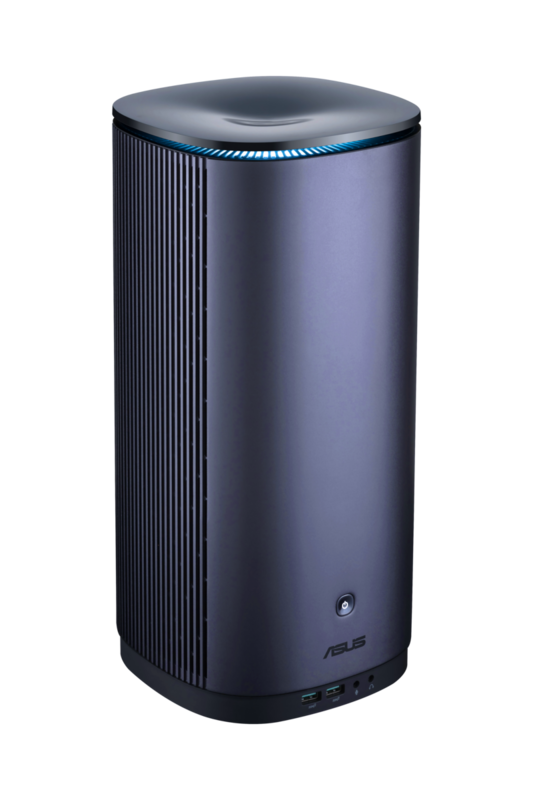 Asus has not given an official release date for the ProArt PA90, simply stating “available in the coming months.” No pricing has been offered either, but it has been speculated that prospective buyers will have to part with well over US$1,000 to get their hands on the new Mini PC. 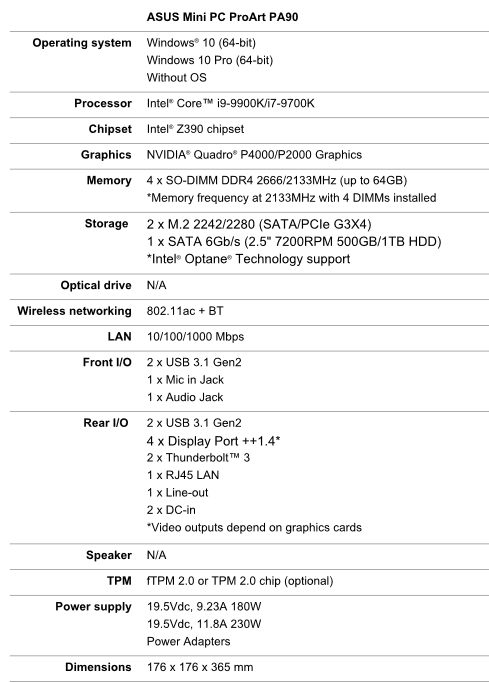 The full specifications are listed below. 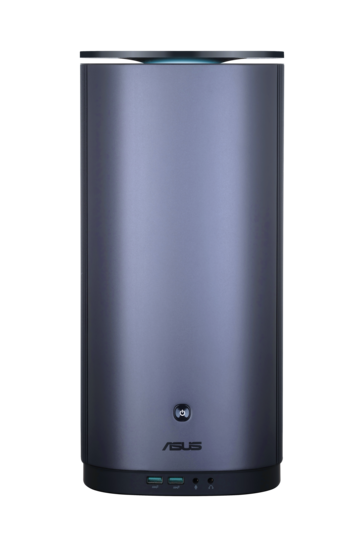 LAS VEGAS--(BUSINESS WIRE)--ASUS today announced ASUS Mini PC ProArt PA90, a new series of compact, workstation-class PCs that deliver powerful, fast and stable performance for designers and content creators. 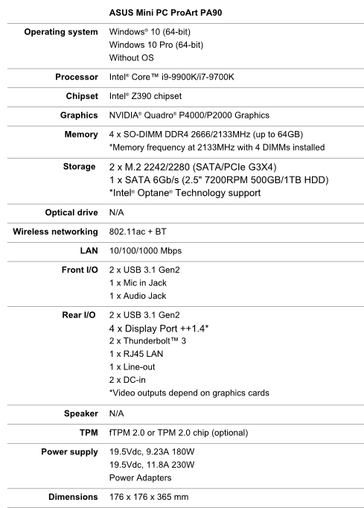 Featuring 9th Generation Intel Core processors, NVIDIA Quadro graphics, up to 64GB of high-speed DDR4 memory, Thunderbolt 3 connectivity and a triple-storage design that blends ultrafast SSD and high-capacity HDD storage, Mini PC ProArt PA90 provides uncompromising performance for computer-aided design (CAD) workflows for architecture, engineering and manufacturing in an attractively modern, compact form-factor that fits easily into any workspace. 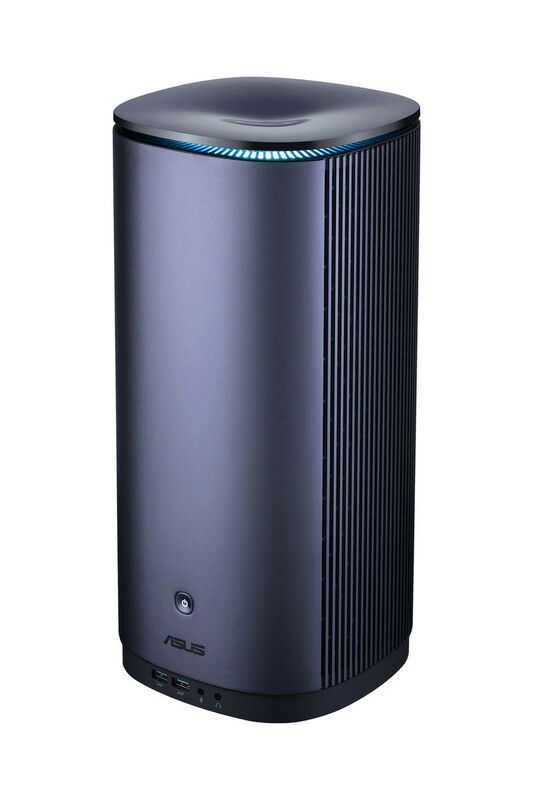 The ASUS Mini PC ProArt PA90 will be available in the coming months. Pricing and configurations will be announced at launch. For more detailed information, please read the article on EdgeUp, or contact your local ASUS representative.